Flip-up downspout extensions are better for the environment than standard downspout extensions, because they are less likely to be damaged, and therefore need to be replaced less often. 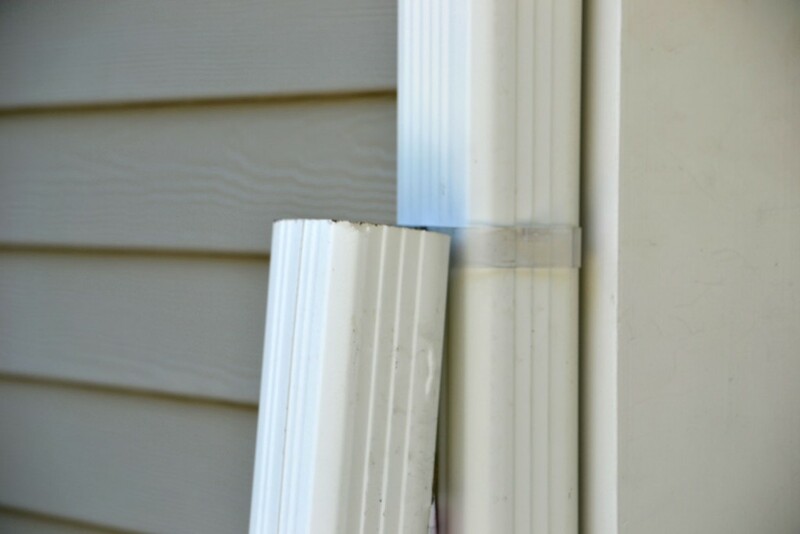 By being able to keep the downspout extensions out of the way for mowing, landscaping, and working around the house, they stay safe from damages. Fewer replacements means less material used in the life of the project. Without extensions set up as flip-ups, they are more likely to be damaged, causing future repairs and using more materials in the life of the project. Tiplok gutter downspout clips make flip-ups work better, because they keep the extension in place while it is up, so it will not get damaged from falling down and being in the way. Since Tiploks are made of clear acrylic, they are very durable and able to withstand extremely hot or cold temperatures. This means they will not need to be replaced in the future, and the flip-up will continue to function properly.